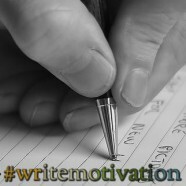 Sunday Musings – #WriteMotivation, the A-Z Challenge, and Life. At least I’ve already done my taxes. Birthday season starts this week, too. What is birthday season, you ask? That is birthday season. By June 13th, we are all very very very very very tired of cake. I would like to take a moment to share a few gems I’ve found on the A-Z Challenge, though! StrangePegs (Andrew Leon) is doing Abandoned Places as his A-Z theme, and that was pretty much an instant follow for me. I love abandoned places, and dreaming about the people who would have once lived there, and what they felt when they had to leave. Be careful – you’ll gain weight just LOOKING at Hungry Enough to Eat Six‘s (Nan Mock) A-Z Challenge posts. Nan’s theme is pies. And really, that’s all you need to know. Just go read (and make), and then go exercise afterward. Anna Tan at Deeply Shallow is doing short fiction with a different mythological creature each day – but it’s a serial fiction, so they’re all connected. I’ll admit that I’m behind on reading it, but the first one was excellent, so I have no doubt the continuing stories are just as good! I also found another blogger who’s doing worldbuilding as her A-Z theme – Susan Gourley! Goal: 40 hours of editing on Catalyst, plus 20,000 new words written.I have edited for 4.17 hours so far, and added 1,048 words. I’m going to have to double up quite a bit the last half of the month, because I’ve got a lot going on last week and this week. Visit at least 5 new blogs each day, and comment on at least 3 new blogs each day.I’ve written and scheduled N and O so far, and then got too busy with Camp NaNo and baby showers for friends, etc. etc. so I’m really going to need to crack these out this next week! I fell behind on new blogs yesterday, since I was gone for half the day, but I’d stayed caught up before that! Pre-write May’s ‘feature’ blog posts, and start planning for June.Hah. I’m funny. Read another book, or several…Hahahahaha. Frick. I *have* to finish reading Numb soon. And I think that’s all I really have to say today! Well, except that I finally saw Frozen a couple of weeks ago, yay! I liked it, but I wasn’t as enthused with a certain song that the public has gone nuts over. It was a good song… I just didn’t think it was amazing. What I really loved, though, was Do you wanna build a snowman? Good luck with your goals. I’ve been enjoying your A to Z posts. No. The cake is a lie. I will do my best to get some of this motivation to you! I love the blog gems. Thanks for the great finds! Oh, hey, wow! Thanks! I’m glad you like it. Our birthday season is February. There are actually a couple in the second half of January, but there are, like, six in February. So I know what you mean. Six birthdays in the shortest month of the year? I feel for you.